We’re so excited for the new Cinderella movie that today we’ve decided to bring you a gorgeous new addition to our Cinderella party range! 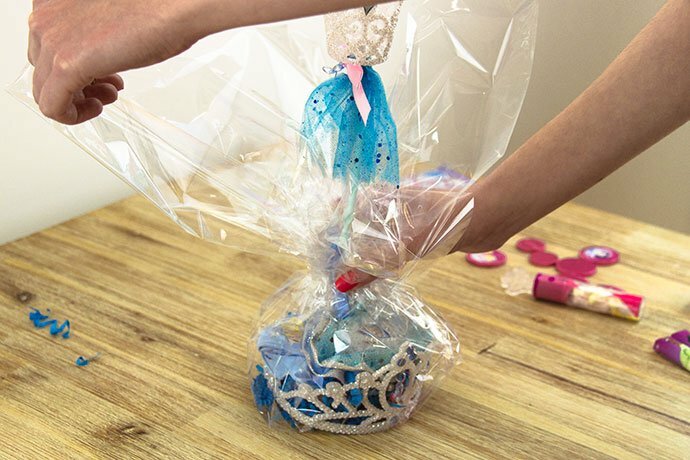 It’s a homemade party favour to give to your guests and you can make it really easily out of a few simple princess accessories. 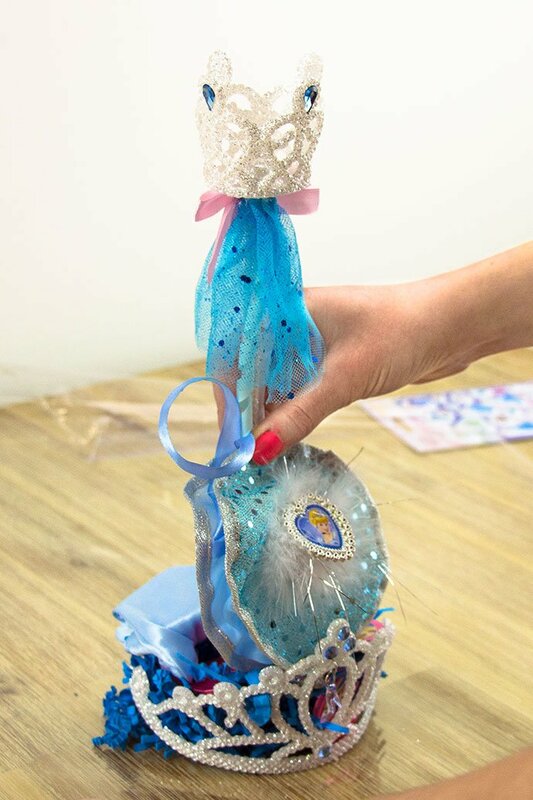 A princess crown and wand form the basis of it and then you can fill it with whatever party favours you like. Sweets, small gifts, jewellery… it’s up to you! Follow our simple step by step tutorial to find out how to make your party favours and then complete it with a magical Cinderella-themed birthday party! 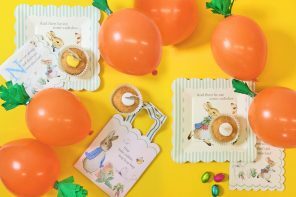 Here’s what we used to make our party favours – we chose a selection of small gifts and accessories from our Cinderella range but what you use is totally up to you. You could even take this idea and tailor it to another party theme! 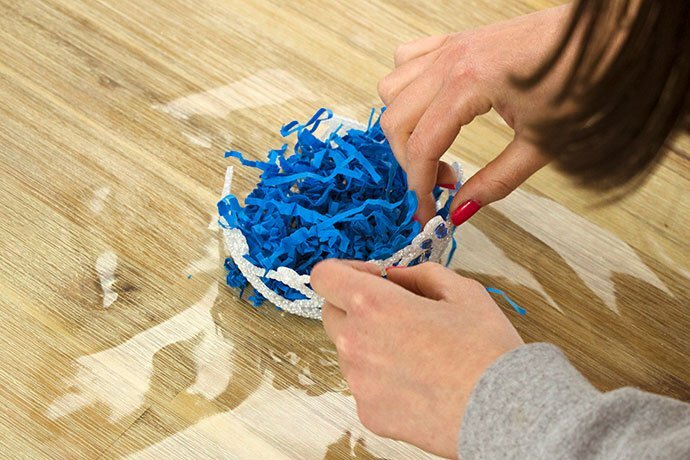 This is such an easy party craft that you don’t need to be a DIY expert to make it look great. Here’s what to do in a few simple steps. 1. Start by laying out a large square piece of clear cellophane gift wrap and place your tiara in the middle. Fill the middle of the tiara with a layer of shredded paper. 2. 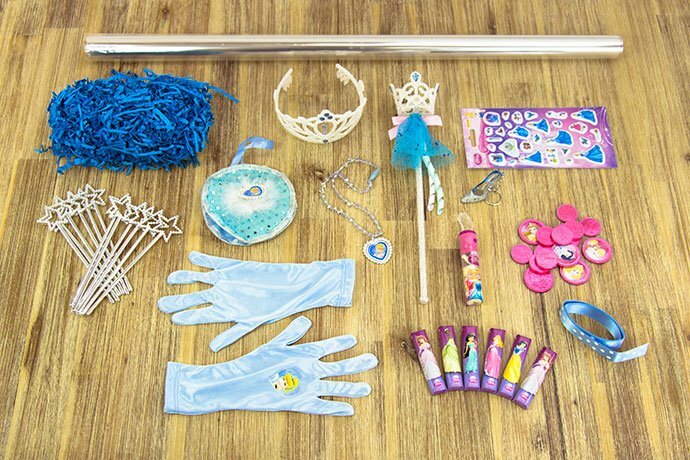 Stand the wand and a selection of small Cinderella-themed gifts in the middle of the tiara. 3. Bunch the cellophane gift wrap up around the wand. 4. 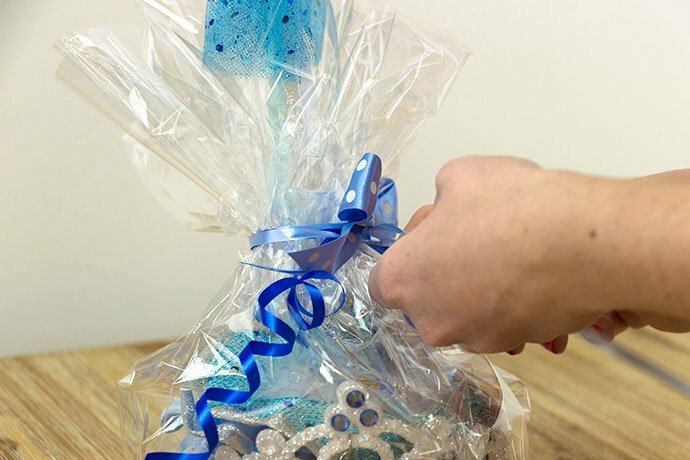 Tie the cellophane wrap together with a blue balloon ribbon to keep it in place and use the edge of a pair of scissors to curl the ribbon. Then tie a piece of blue cake ribbon into a nice bow and tie onto the party favour. 5. 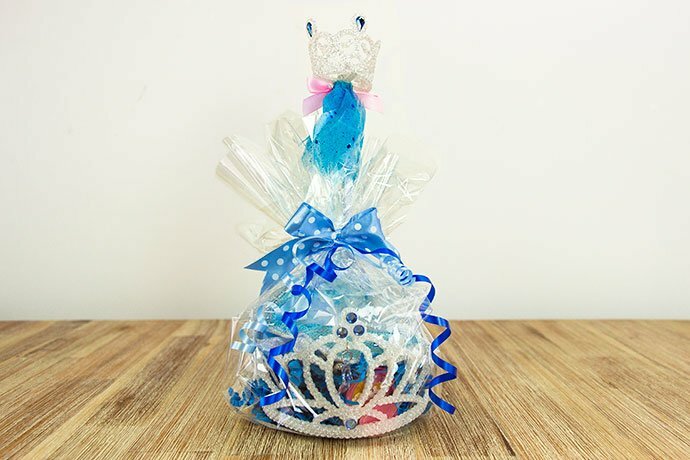 Finally, trim the excess cellophane wrap to make your Cinderella party favour look really pretty and ready for your party! 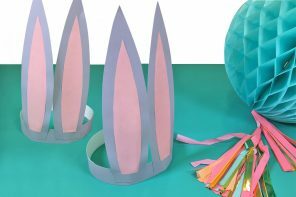 Check out our full range of Cinderella party supplies to throw your own Cinderella birthday party and keep reading our blog for more fantastic party crafts!